Hi There! Hope you are having a wonderful Thursday morning. Here in the Washington D.C. metro area we are in the the upper 30s with heavy rain but cannot complaint. It is hard to believe that the year is almost over. I am so much to be thankful for this year. I am very thankful for my wonderful family and friends and for having such wonderful readers like you and your support. Today, I am reviewing this new lip balm came across at Sephora. 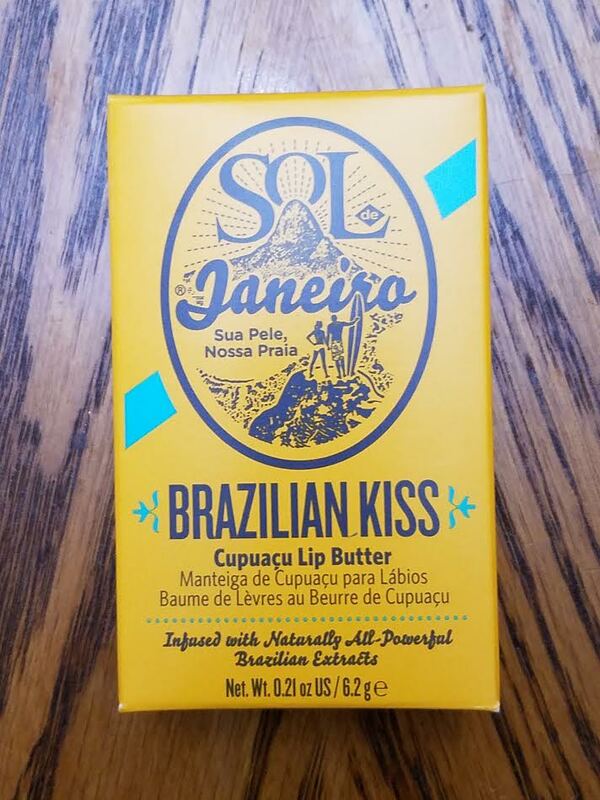 Description: I heard about the Sol de Janeiro Brazilian Kiss Cupuacu Lip Butter online and hence ordered from Sephora for $18. 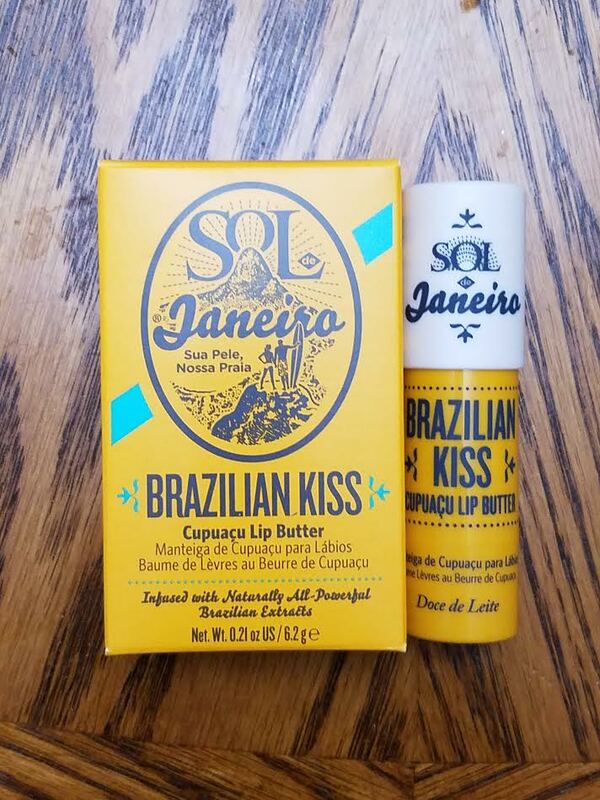 According to the website, the lip butter nourishes lips for a soft, supple feel, and is powered by a blend of extraordinarily nourishing cupuaçu butter, antioxidant powerhouse açaí, and super-conditioning coconut oil, it leaves lips traced with a Brazilian caramel scent. This product is formulated without PEG’s, synthetic colors, animal by-products, and propylene glycol. It leaves your lip soft with a dewy sheen that intensifies your natural lip color. Ingredients: Cupuaçu Butter to lock in moisture with fatty-acids, phytosterols, and polyphenols; Acai – the antioxidant powerhouse packed into one super fruit helps keep skin looking and feeling young, Coconut Oil that melts easily into skin to soften, condition, and moisturize; Organic Helianthus Annuus Seed (Sunflower) Oil, Beeswax, Organic Cocos Nucifera (Coconut) Oil, Organic Olea Europea (Extra Virgin Olive) Oil, Vitis Vinifera (Grapeseed) Oil, Theobroma Grandiflorum (Cupuaçu), Euterpe Oleracae (Açai) Extract Organic, Cannabis Sativa Seed (Hemp) Oil, Butter, Flavor, Rosmarinus Officinalis (Rosemary) Extract, Tocopherol, Aloe Vera. Verdict: It came is yellow, color box. As per description, when I opened the lid I was expecting a caramel scent but I don’t know if it is just me, all I smelled is just buttery smell. It left my lips soft and supple. However, is it worth the $18? For me, the answer is no. Eos lip balm (read my review here) is still number one and it only cost $3.99. My beautiful readers, if you ask me, I’ll tell you not to spend $18 on this product. 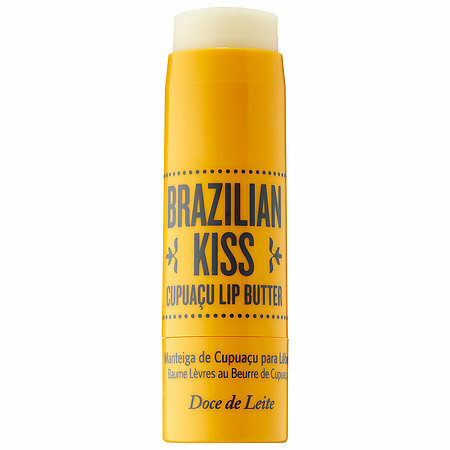 Eos is still better this Brazilian Kiss. I even like. My family and I also love Rosebud Perfume Co. Minted Rose Lip Balm (read me review here), except for it’s extremely hard to open lid. 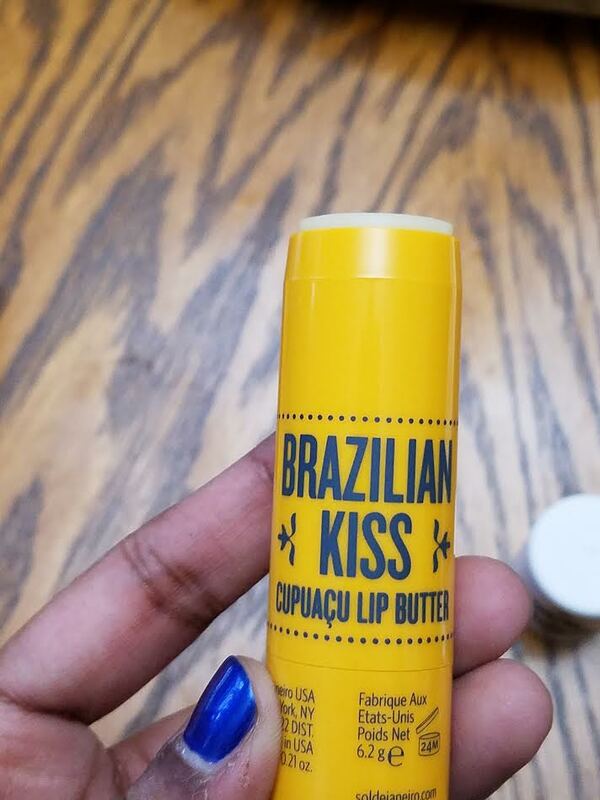 My beautiful readers, the good things about the Brazilian lip balm are that it is soft, moisturizing, glides easily, long lasting, and makes your lips feel supple. However, the biggest con for the balm is the cost. For $18, I will not get a balm that smells like butter and does not provide me anything new. I got one just for my dad so that I can ask him which one he would prefer, and he ranked the Brazilian lip balm after Eos, and Rosebud Perfume Co. In conclusion, I would not recommend this lip butter if you are looking for something new and better. However, if you don’t care about the price and are okay with another good addition to your lip balm collection than go for it. Hope you enjoy this post as much as I loved writing about it. Don’t forget to check out my Facebook Page and follow me on Instagram @allaboutme3181. 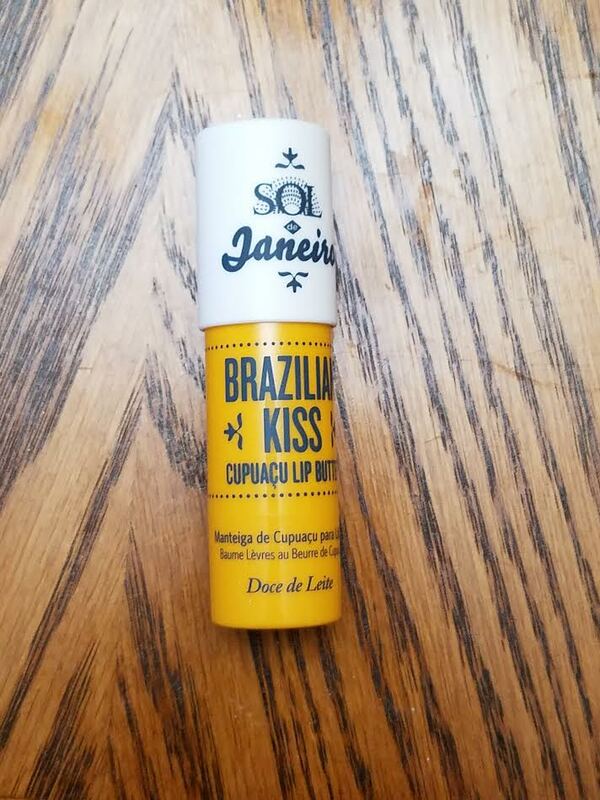 This entry was posted in Beauty, Beauty products and tagged Beauty, Beauty Product, Beauty Product Review, Brazilian Lip Butter, Sephora, Sephora Product, Sol de Janeiro Brazilian Kiss, Sol de Janeiro Brazilian Kiss Cupuacu Lip Butter by allaboutme31. Bookmark the permalink. Thank you so much for posting this (yes, I realize it was 2 years ago). I also love EOS lip balm and have been on the fence about trying the Brazilian Kiss. You have convinced me it’s not worth the $. Thank you so much!